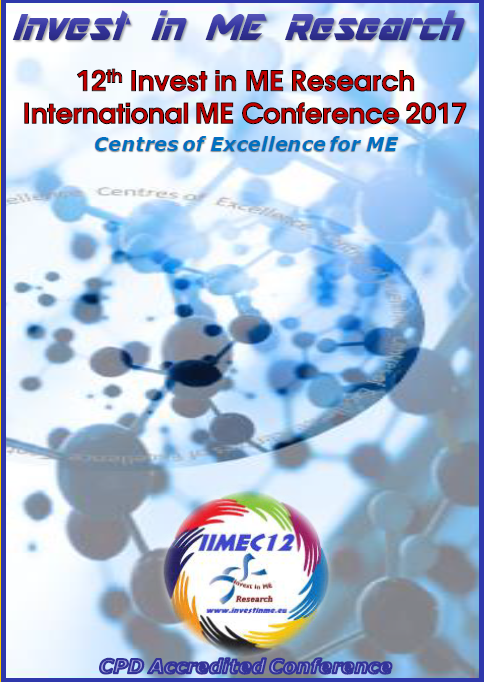 Invest in ME Research - UK Charity for Myalgic Encephalomyelitis What is ME? ME has been formally classified by the World Health Organisation as a neurological disorder in the International Classification of Diseases (ICD) since 1969 (ICD-8: Vol I: code 323, page 158; Vol II (Code Index) page 173). On 7th April 1978 the Royal Society of Medicine held a symposium on ME at which ME was accepted as a distinct entity. The symposium proceedings were published in The Postgraduate Medical Journal in November that same year. (5) The Ramsay case description was published in 1981. (6) Since 1989, the Medical Information Service of the British Library has produced quarterly updates on the disorder: these updates (known as CATS, or Current Awareness Topics) compile published international research and clinical evidence about the condition and contain abstracts of published articles. The Centres for Disease Control (the US federal agency charged with the containment of diseases and known internationally as the CDC) designates it for funding status as "A serious legitimate diagnosis CDC PRIORITY 1 disease of public health importance". ME remains classified in the current ICD as a neurological disorder (ICD 10. G.93.3) and the World Health Organisation has confirmed that there are no plans to reclassify it as a psychiatric disorder in the next revision of the ICD (due in 2003). Chronic Fatigue Syndrome (CFS) is listed in ICD-10 as a term by which ME is also known, as is the term Postviral Fatigue Syndrome (PVFS). The term "CFIDS", or Chronic Fatigue and Immune Dysfunction Syndrome, is used by some groups in the US. The incidence of ME / ICD-CFS is known to be rising: in April 1994, the insurance company UNUM (one of the largest disability insurers) reported that in the five years from 1989 - 1993, mens' disability claims for CFS increased 360%, whilst womens' claims for CFS increased 557%. No other disease category surpassed these rates of increase. In order of insurance costs, ME/ICD-CFS came second in the list of the five most expensive chronic conditions, being three places above AIDS. At the Fifth American Association of Chronic Fatigue Syndrome International Research and Clinical Conference held in January 2001 in Seattle, the Associate Director of the University of Washington's CFS Research Centre (Dr N Afari) confirmed that the incidence is indeed rising. The strike rate is higher than multiple sclerosis. Comparisons have been made between the prevalence of ME /ICD-CFS and MS in the UK, in the USA (13) and in Australia (14) and have been estimated to be three times, twice and equivalent respectively. Prevalence estimates in Britain vary by a factor of 8, which is a reflection of the problem of definition. In ME, symptoms are seemingly without end. There is a remarkable variability of signs and symptoms from day to day and even from hour to hour: Hyde and Jain (20) (quoting Pellew) describe this variability: "A patient examined in the morning might have nystagmus, which would disappear at midday, recur later, disappear later and recur the next day". This waxing and waning in the same patient in the same day is typical of almost all findings in ME / ICD-CFS and may lead to medical scepticism. ME commonly starts with abdominal pain and diarrhoea, together with a persistent headache and / or vertigo, with a stiff neck and back, together with generalised myalgia, described as intense and burning. Muscles are tender to palpation and muscle spasm is not uncommon. There may be severe, intractable pain in particular groups of muscles, most notably in the neck and in the shoulder and pelvic girdles: the more severely affected are unable to stand unsupported for more than a few minutes. There is sometimes segmental pain in the chest wall. In the more severely affected, dizziness is a particularly striking and chronic feature, as is persisting dysequilibrium and ataxia, with patients frequently bumping into things and becoming bruised. There is impaired neuromuscular coordination, particularly with fine finger movements. In the severely affected, there may be difficulty with swallowing; choking fits are not infrequent. There may be difficulty with voice production, particularly if speaking is sustained. There may be seizures, although these are found only in the most severe cases. In the most severe cases, photophobia and hyperacusis are common, as is tinnitus; often there is parasthesia. Hypersomnia is prevalent, especially in the early stages of the disorder; this may be replaced by reversed sleeping patterns, with vivid and disturbing dreams; unrefreshing sleep is common. Abdominal pains often recur; especially in the severely affected, there are usually chronic problems with diarrhoea and frequency of micturition, including nocturia. Bladder and bowel control may be insecure. A significant number of cases of Syndrome X strongly resemble ME / ICD-CFS clinically, and nuclear magnetic resonance spectroscopy studies of skeletal muscle in patients with Syndrome X show abnormalities that are identical to those found in patients with ME / ICD-CFS. (24) Syndrome X is characterised by typical anginal pain with a normal coronary angiogram: (25) in both Syndrome X and ME / ICD-CFS, blood supply to the heart muscle seems to be going haywire, but in Syndrome X there is desensitivity of the cell endothelium, whilst in ME / ICD-CFS there is heightened sensitivity of the cell endothelium. Syndrome X has been defined as a cluster of symptoms secondary to resistance of insulin-mediated glucose uptake; (26) it has been seen in association with increased risk for coronary heart disease due to enhanced growth and proliferation of arterial smooth muscle cells and highly elevated levels of cholesterol. In the more severely affected, palindromic arthropathies regularly recur; spontaneous periarticular bleeds are frequent, especially in the fingers, which become swollen and painful, making the patient appear even more clumsy. Pancreatitis is not uncommon and may cause acute, severe pain: pancreatic exocrine insufficiency leads to malabsorption, which is a well-recognised feature found in the more severely affected; some patients have almost non-existent pancreatic exocrine function. Some patients have been shown to have achlorhydria. ME affects not only the central nervous system but the autonomic and peripheral nervous systems as well. Sympathetic nervous system dysfunction is integral to ME / ICD-CFS pathology (29) and includes blurred and double vision, with difficulty in focusing and visual accomodation; eyes may be dry and eyelids are often swollen and painful. Typical autonomic symptoms include alternate sweating and shivering, with marked thermodysregulation. Patients experience orthostatic hypotension and symptoms of hypovolaemia, with blood pooling in the legs and insufficient blood flow to the brain: patients may feel faint, shaky and nauseous; they can be tearful and observably pale and they may experience severe distress. In the more severely affected, commonly there is difficulty with breathing, with sudden attacks of breathlessness and dyspnoea on minimal effort; the administration of oxygen may be necessary. Rashes may occur; mouth ulcers may be recurrent and may be painful and severe to the extent that speaking and eating may be affected. Hands and feet are frequently cold, blanched and / or purple, with painful vascular spasms seen in the fingers. In females, ovarian-uterine dysfunction is not uncommon; in males, prostatitis and impotence may occur. Many patients can walk only very short distances and require a wheelchair. There is difficulty with simple tasks such as climbing stairs and dressing. Uncharacteristic emotional lability is very common; there may be an increased irritability. Patients are often understandably anxious and afraid. There may be significant and permanent damage to skeletal or cardiac muscle as well as to other end-organs including the liver, pancreas, endocrine glands and lymphoid tissues, (34) with evidence of dysfunction in the brain stem. Injury to the brain stem results in disturbance of the production of cortisol (required for stress control) via damage to the hypothalamus and to the pituitary and adrenal glands, and patients react extremely adversely to stress. Cycles of severe relapse are characteristic and common, together with the evolution of further symptoms over time. ME is rarely listed as the cause of death, although after decades of illness, death from end-organ damage (mainly cardiac or pancreatic failure) is known to occur.